“Baraja Hispanoamericana” was published by Asescoin (Madrid), printed in Mexico by Productos Leo S.A. in a limited edition of 1000 numbered copies. 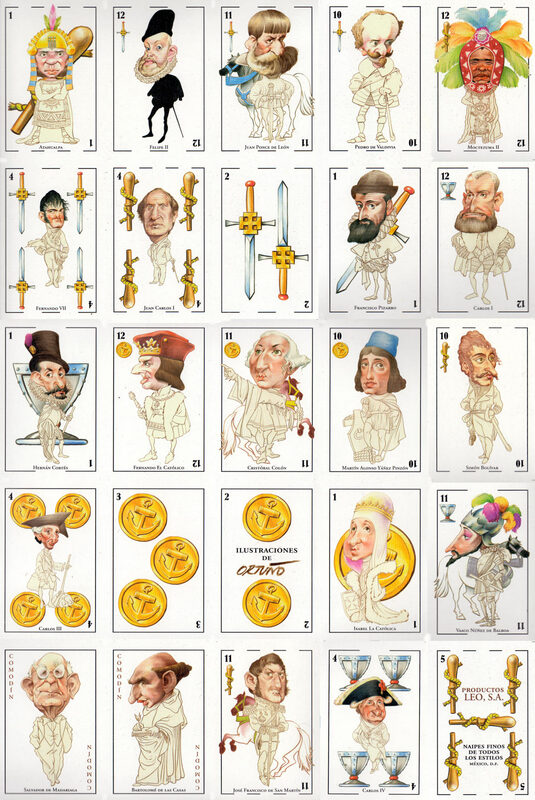 The court cards, aces, jokers and number 4s depict caricatures of conquistadors and other persons associated with the discovery, colonisation and subsequent liberation of Hispanic America. The artwork is by Ortuño. 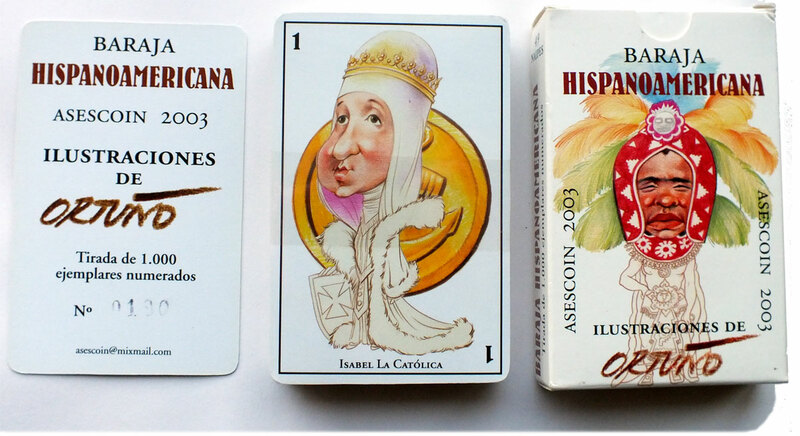 Above: cards taken from uncut sheet of “Baraja Hispanoamericana” published by Asescoin (Madrid), printed in Mexico by Productos Leo S.A., 2003. Packs contain 40 cards + 2 jokers + 7 extra cards in a cardboard tuckbox; limited edition of 1000 numbered copies.